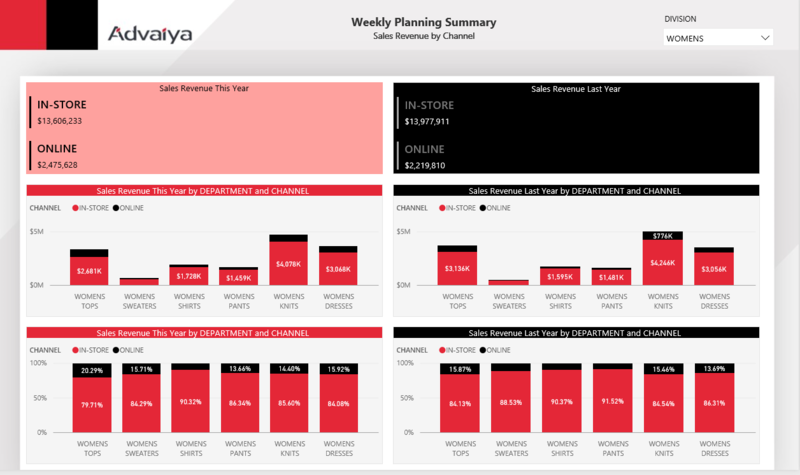 A major retailer was using detailed Excel spreadsheets in the weekly planning meetings to review and compare key planning metrics for this year and last year. 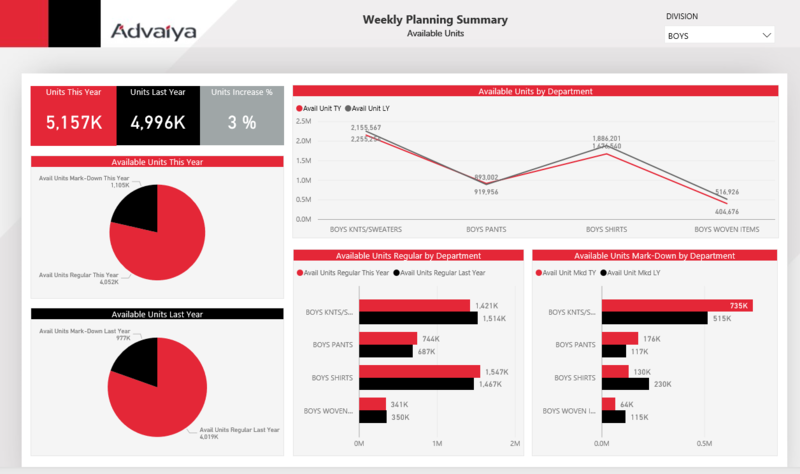 While some conditional formatting was used to identify patterns, and analyze how the divisions and departments performed, the challenge was to get a quick overview of the different metrics for executives and enable simultaneous drill downs into each of the metrics side by side for a specific division and channel. • Overall summary showing this year and last year’s past week numbers for Sales Revenue by Divisions, Regular vs. Markdown contribution to Sales Revenue and Average Unit Retail Price. These can be filtered by In-Store or Online channel and Boys, Girls, Men’s, or Women’s divisions. Sales Revenue by Division chart also allows drill down view of Sales Revenue by Departments (e.g. Women’s Jeans, Women’s Shirts) within the Divisions. 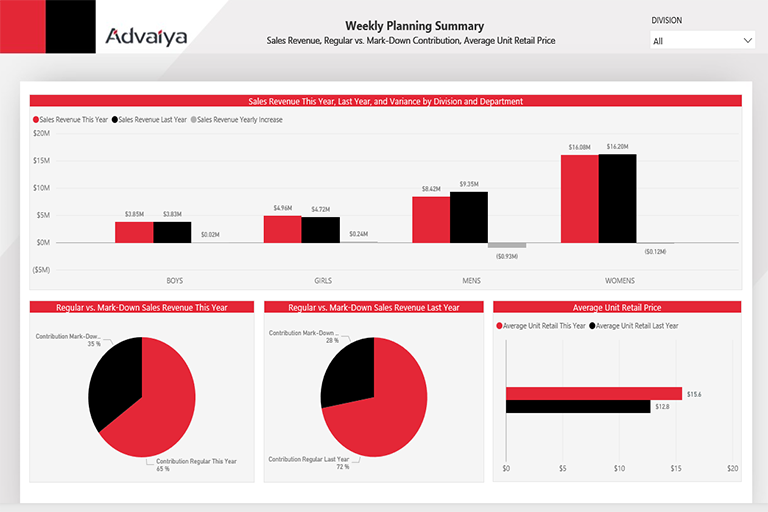 •The division managers can view the contribution of in-store and online channels to past week’s sales revenue this year and last year for all the departments in their division. 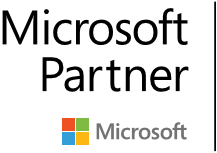 •The division managers can view units available, mark-down and regular units available for all the departments in their division.